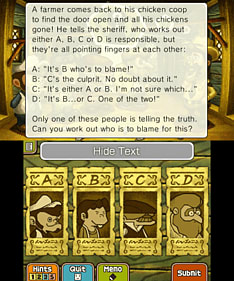 Experience the final chapter of Professor Layton as his latest mystery takes him around the world. 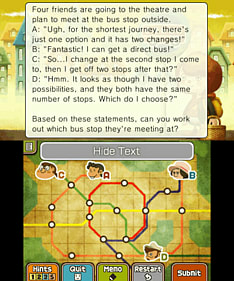 Packed with puzzles, Professor Layton will have you scratching your head as you try o unravel the mystery. 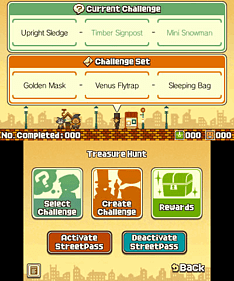 Unlock new content via Streetpass in the new Treasure Hunt Mode. Solve puzzles in order to discover the puzzle behind the secretive Targent agency and uncover the mystery of the Azran civilisation. The final chapter of the Professors Layton series takes puzzle solving around the globe in the gentleman professor's most ambitious outing to date. 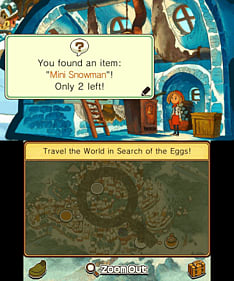 After receiving a mysterious letter claiming that a living mummy has been discovered, Professor Layton and his team head to a city nestled in the frigid Arctic. There, they release a young lady encased in a prison of ice, setting in motion a grand adventure aboard an airship that will take them to spectacular places as they solve the mysteries of ancient civilisations. Over 500 puzzles, 150 new puzzles in the game, as well as 385 daily downloadable puzzles. 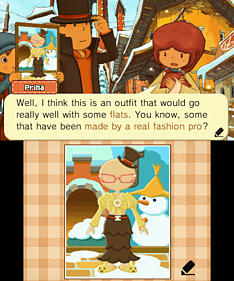 Dress Up: play fashion consultant to an assortment of colourful characters you meet on your travels. Mix and match the items you find to create the perfect outfit for each character. Nut Roller: take control of a squirrel that needs to manoeuvre her delicious walnut into a goal on an obstacle course. 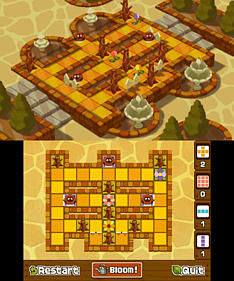 Roll rocks and acorns around the courses to take out obstacles and to push the walnut towards the goal. Blooms and Shrooms: tend to a flower garden with a difference, one that is filled with surprising flora. Deftly plant flowers in specific positions to avoid noxious shrooms and fill the garden with beautiful blooms to win.